Journal of Plant Biotechnology and Microbiology, is an international peer reviewed, open access, online journal. 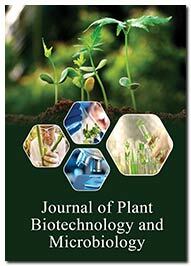 The journal features original research, review articles, clinical cases, perspective, commentary and others which include every facet of the plants and microbiology to find better ways and conditions that originate in the plants. In addition, it provides a forum for the exchange of information on all aspects of plant biotechnology and microbiology, including educational issues. Journal of Plant Biotechnology and Microbiology (PBM) is an open access journal designed for the wide dissemination of research in this field to worldwide audience. New developments in methodology and techniques are important resources for the research community. The journal publishes scientific work on various topics like plant tissue culture, plant molecular breeding, plant microbe interactions, plant stress biology, plant pathology, biochemistry, secondary metabolite production, applied microbiology, microbial diversity, microbial genetics , host-microbe interaction, microbial pathogenesis, food microbiology, signal transduction, bioremediation, bioactive compounds , fermentation technology, bioprocess engineering. Antifungal effect and phytochemical screening of Telfairia occidentalis (hook f.) Leaf extracts. Fruit juices as probiotic carriers. ePARTS: An easy way to store and access your MoClo construct information in plant biotechnology projects.